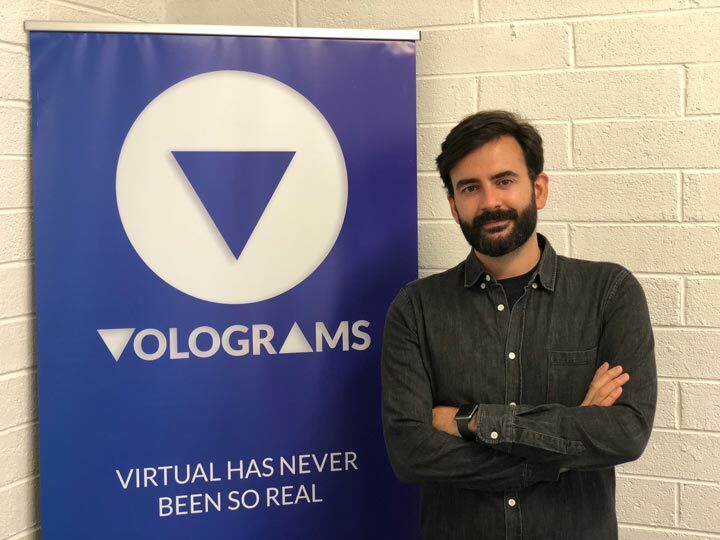 Volograms a Trinity College spin-out company has just secured €600,000 in seed funding for its technology that transforms video footage shot from multiple viewpoints into Virtual Reality Holograms for Augmented (AR) and Virtual Reality (VR). In today’s 3ms ExpertTalks series we spoke with the company’s CEO Rafael Pagés. Rafael how did you end up in Ireland? I come from Spain, I studied telecommunications and engineering which is a kind of integrated degree, it’s a mixture of electrical engineering and computer science. Afterward I did my PHD in the Technical University in Madrid. I specialised in image processing and it ended up being about 3D reconstruction. I finished the PHD about two years ago and there was this opportunity to come to Ireland to continue doing research. There was this project funded by the Science Foundation of Ireland, I think it’s called enterprise professorship its about bringing in talent from abroad or getting a very good professor to come to the country and getting them to establish their own research lab. Our professor was Aljoša Smolić. 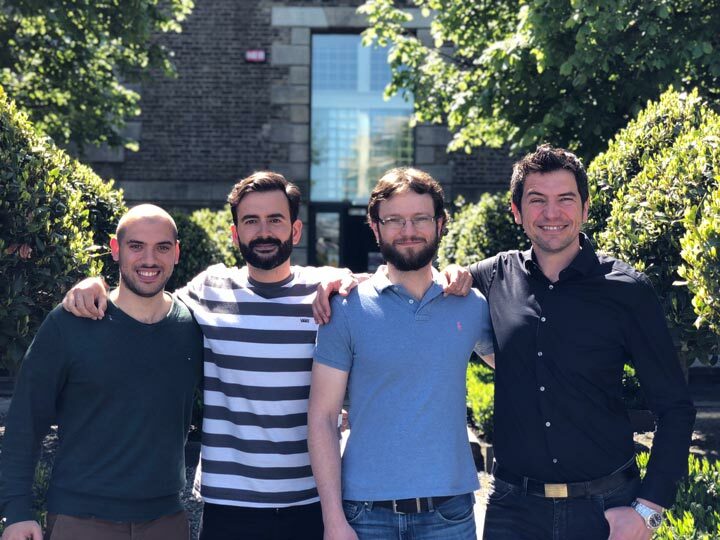 He was our boss in Trinity and is very well known in the the field of image processing, he was actually working in 3d research in Zurich before coming to Ireland. He came to Trinity and started his own research lab in the school of Science. He hired more that 20 researchers, it was nice as we were a very multicultural group. Had you been to Ireland previously? Ireland was the first country I visited outside Spain. I came here to learn english in swords in the north of Dublin. I really like it here Irish people are very similar to Spanish, very open, and they have a really good sense of humour. Very ironic and sarcastic, very friendly. It feels like home, apart from when I look at the sky and feel the rain. The first time I really tried a VR experience was in 2010. I went to a conference in Paris and they had a prototype there that was really cool. It was like a very small monitor in each eye, it had an external tracker, they had hacked together a Wii controller in order to be able to control and point. The experience was a 3D labyrinth where you could move and around. It was actually really cool. But I never tried it again until the first prototype of the Oculus came. So for me it was really cool to see how far the technology had come. Can you tell us a little bit about Volograms and the technology behind it? What we do is capture the dynamics of real world content. We do this by taking several videos from different viewpoints. The key thing that differentiates us from other companies in the same space, is that the position of the cameras are not super important for us. We can give better reconstructions and we can even do it with hand held phones! What makes it even more exciting is that we can do it outside, you’re not tied to a studio. Of course you could be in a studio with a green screen and synchronised cameras and everything. But we believe in trying to make this available to everybody, so that people can capture content with their phones or the devices that they already have. The key thing that we are seeing is that one of the problems that VR & AR has is that it is difficult to make high quality content for them. So in VR you have 360 video, which isn’t particularly very interesting, but at least it has the 360 camera and you can capture content from the real world and put it there. But for Augmented Reality there is nothing that is as easy as just taking a camera and recording. So that’s where we are working on filling a gap. Content that is based on real world content! Of course there are tools for designers and developers to create their own virtual environment, but if we want Augmented Reality to really take off we have to find a way to put real world content there. So it can really transport you to somewhere else, or you can really feel that you have someone else sitting next to you and not just an avatar. Where do you see the application for this Technology? Everywhere that there is an application for VR/AR there is a need for content and in particular real life content. So if we see where the VR marketing is being led, it’s first in entertainment, video games etc. Some developers are already using Virtual Reality Holograms content for certain scenarios. There are also applications for training, marketing. I think it’s far more compelling to see 3D content that is actually real world content. Where did you develop the technology? Vsense is the research lab that was funded by the Science Foundation of Ireland and we develop these technologies within Vsense. We applied for a feasibility fund from Enterprise Ireland, which gives you up to 15K to research and find out if there is a need for what you are doing or not and who is interested in it. Just recently we got our first trench of seed funding from Atlantic Bridge. 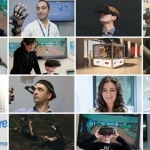 Do you find that the Irish government are doing enough to support the VR/AR sector? I’m not an expert in what is going on in other countries, but I can say in Spain there are really big differences with what is going on in comparison to here. I’ve been very impressed with the support that we have received from both Trinity & Enterprise Ireland. Of course there is always more the government can do, but I would say in my experience the support has been very effective. It’s something that other countries should try to mimic and try to copy as it has been really effective for us. I think that reality capture technologies are going to be everywhere in the next few years. At the moment we are interested in discovering ways to put the content in the hands of the consumer so we want to enter into agreements with the right stakeholders so we can validate that this technology. We’re on quest to evangelise everyone and get them to see the huge value of this content.